The Great Guys Dinner continues to be Bringing Hope Home’s largest fundraiser event of the year, and is one of the main reasons why we are able to make such a difference in the lives of those battling cancer in our local community. With your participation, you have the unique opportunity to be a part of our HOPE NATION™ bringing UNEXPECTED AMAZINGNESS™ to our Families! Be a part of HOPE Nation today! Bringing Hope Home is a non-profit organization that provides Unexpected Amazingness to local Families with cancer through financial and emotional support. Through the Light of Hope Family Grant Program, we directly pay household bills to ensure our Families are able to stay in their homes, with a roof over their heads, utilities on, phones working, and food on the table. At the age of 32, Paul’s wife Nicole was diagnosed with Stage IV Hodgkin’s Lymphoma. Even though this was an extremely difficult time, the Isenberg’s were astonished by the love and support from family, friends, and strangers alike. They felt so blessed to have such great people in their lives. Nicole had an idea for Paul to get all of the “Great Guys” together for a benefit dinner to reconnect with his longtime friends, thank them for their support, and help other families less fortunate. This is where the concept of the “Great Guys Dinner” was born. The first Great Guys Dinner took place in 2001, gathered 100 guys and raised $13,000 that was donated to the American Cancer Society. 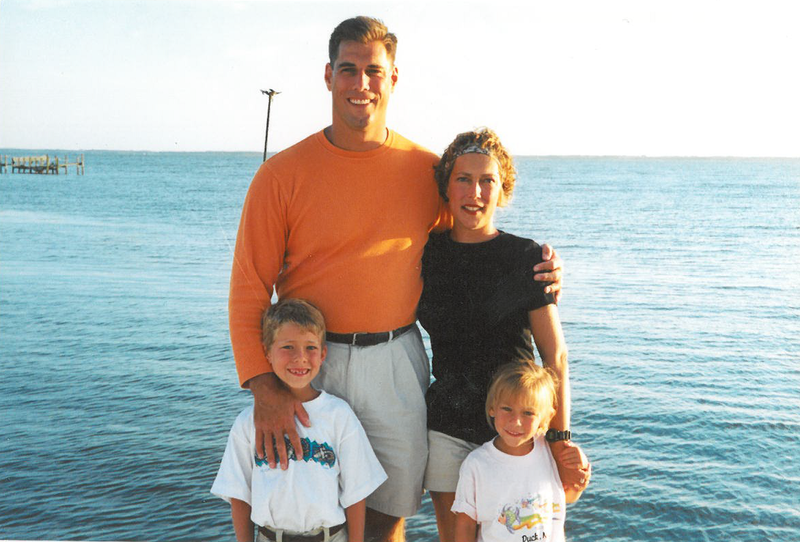 Sadly, Nicole’s fight ended in 2003 at the young age of 39, but her legacy lives on through the special work we do in her honor. Since our inception in 2008, we have supported over 5,000 local Families with over $6.0 million dollars in assistance. We are excited to announce our guest speaker…Merril Hoge! Merril Hoge played in the NFL for 8 years with the Pittsburgh Steelers and Chicago Bears, worked at ESPN for 21 years, and survived career-ending head trauma, cancer and open heart surgery! These successes and challenges have helped Merril inspire others to persevere in the face of adversity along with achieving success. Just in! Joe Conklin will be our entertainer for the evening! Joe Conklin is a Philadelphia radio personality, comedian and impressionist. He’s been heard on morning radio in Philadelphia radio since 1986. On 94.1 FM WIP’s morning show he’s known for his impressions of Donald Trump, Joel Embiid, Charles Barkley, Allen Iverson, Gabe Kapler, Merrill Reese and many others. Conklin is one of the most sought after corporate banquet entertainers in the area. His stand-up routine is legendary as he’s skewered some of the country’s top politicians, pro athletes, sports executives, and film stars, sometimes to their faces. And each time he is fearless, uncanny, and hilarious.